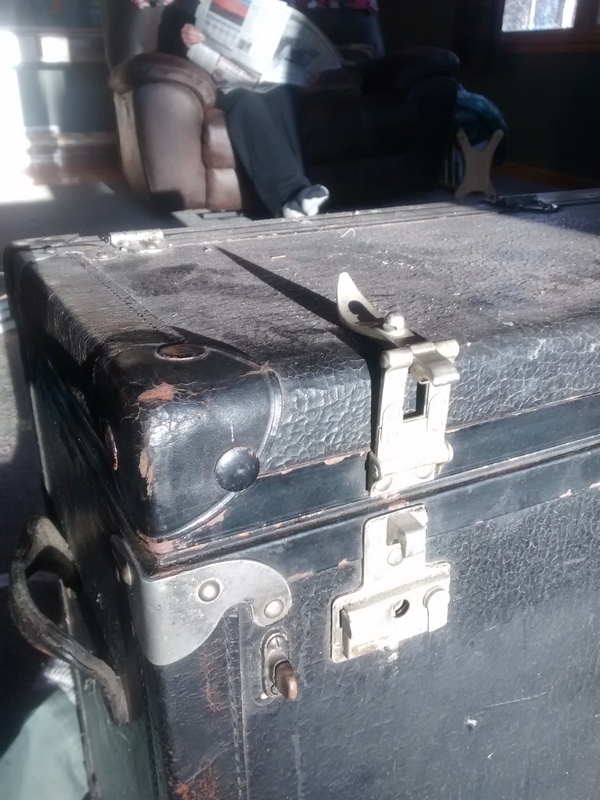 I have an antique trunk that was given to me by my late grandmother. 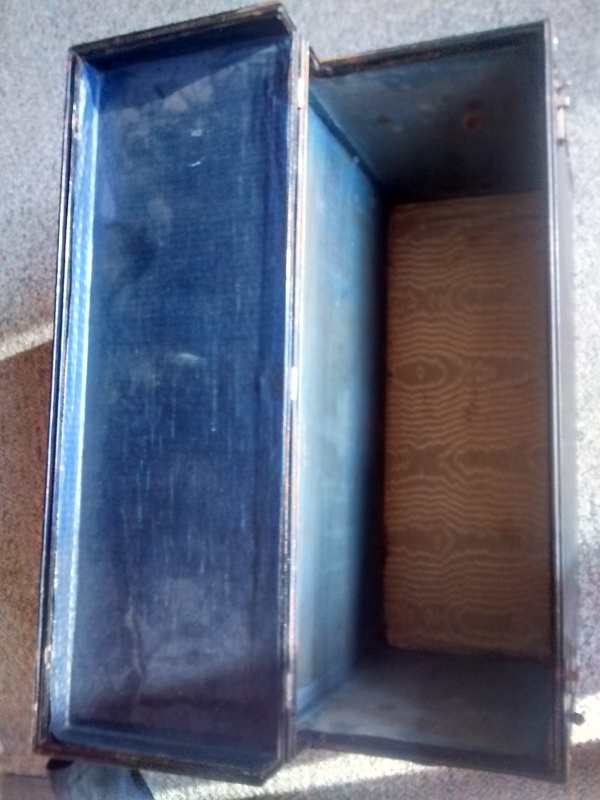 The trunk appears to be made of wood and covered with leather. It is lined with fabric. 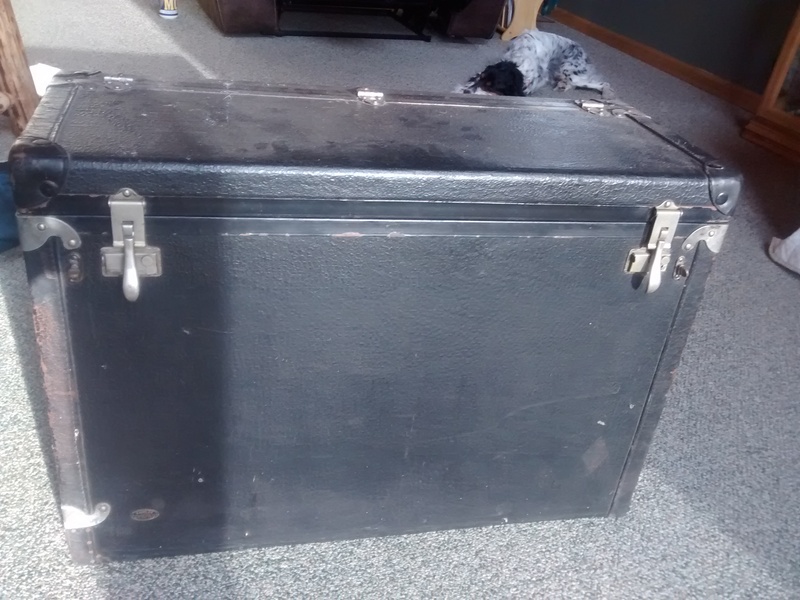 The trunk dimensions are 30x 21x12 inches The trunk has a hinged top lid and metal hardware. 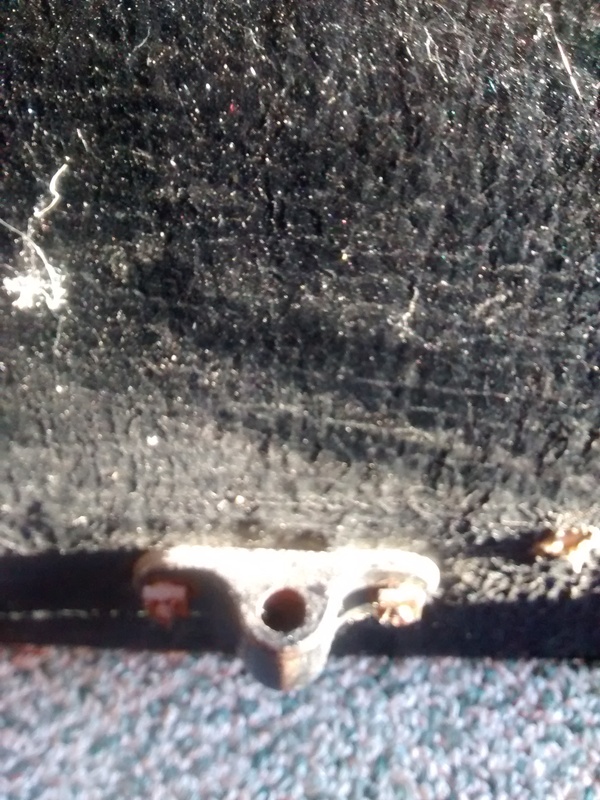 On the bottom of each side of the trunk is some type of metal bracket to support some type of rod. 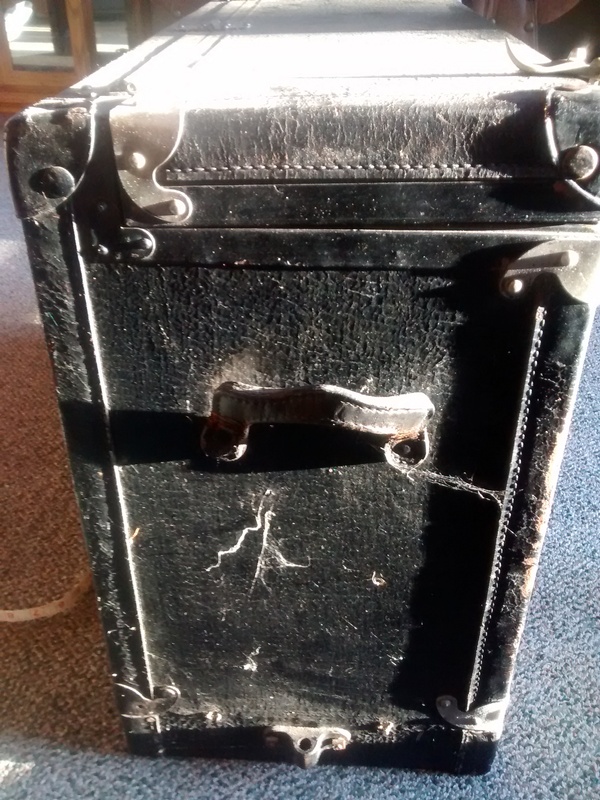 There is a metal stamp on the front of the trunk which reads "Kamlee, McKane-lins Co. Milwaukee" I am interested in knowing what the trunk was used for, its approximate age and estimated value. 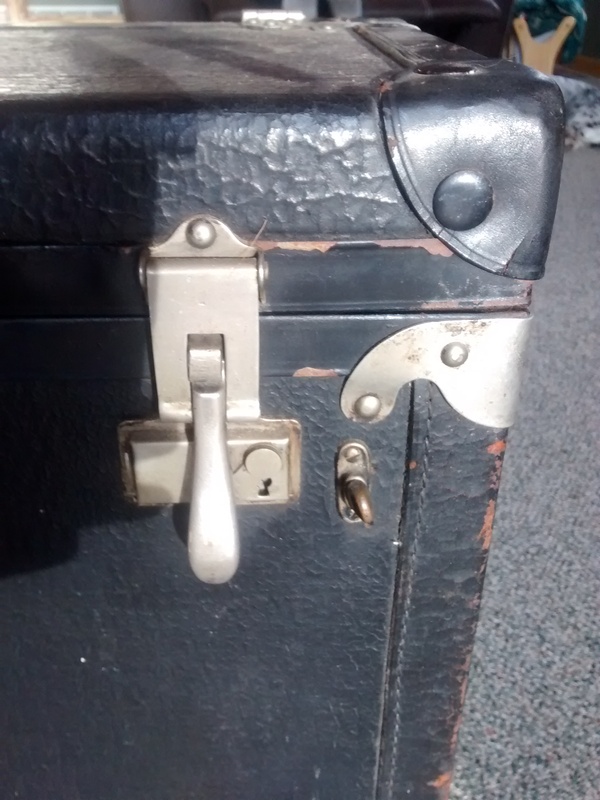 Not sure if you have any feedback on this item, but it is from about 1912 through 1920. 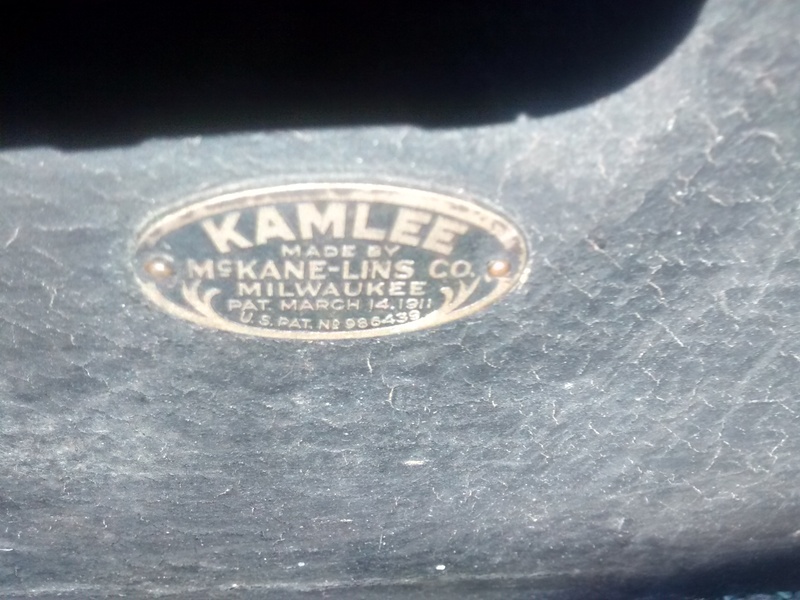 Kamlee was line of McKane -Lins products, which made trunks for automobiles. It is very hard to put a value on it without knowing the car from which it came. Keep in mind, there were hundreds of auto manufactures that started and died during that time. 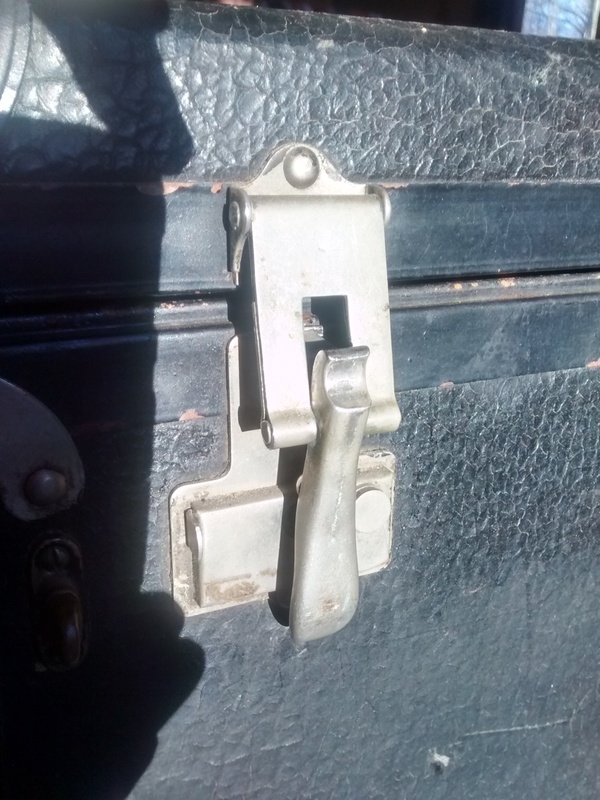 I have antique cars and am interested in local Milwaukee history, but it is nearly impossible to determine the car from which it came. 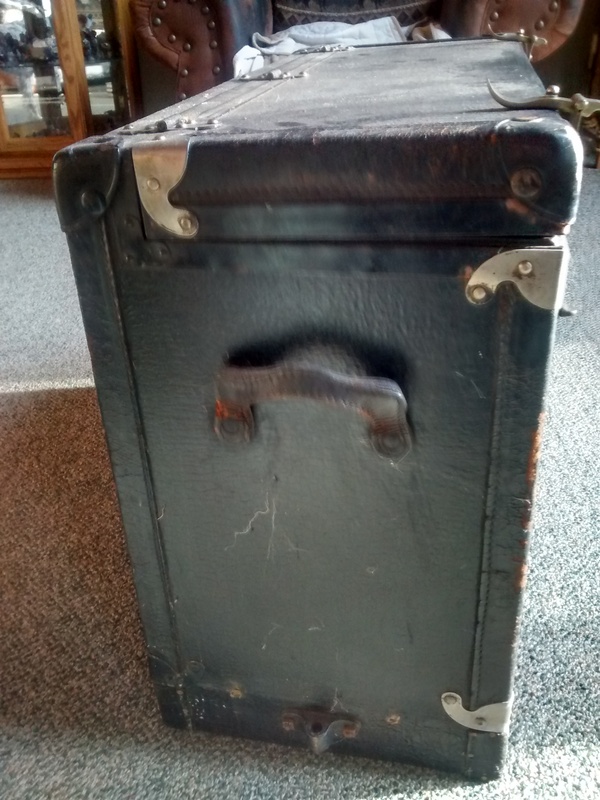 I have been to auctions where old trunks like this have sold for $10 and some where they have sold for $200. The value is driven by condition and most importantly knowing the car. 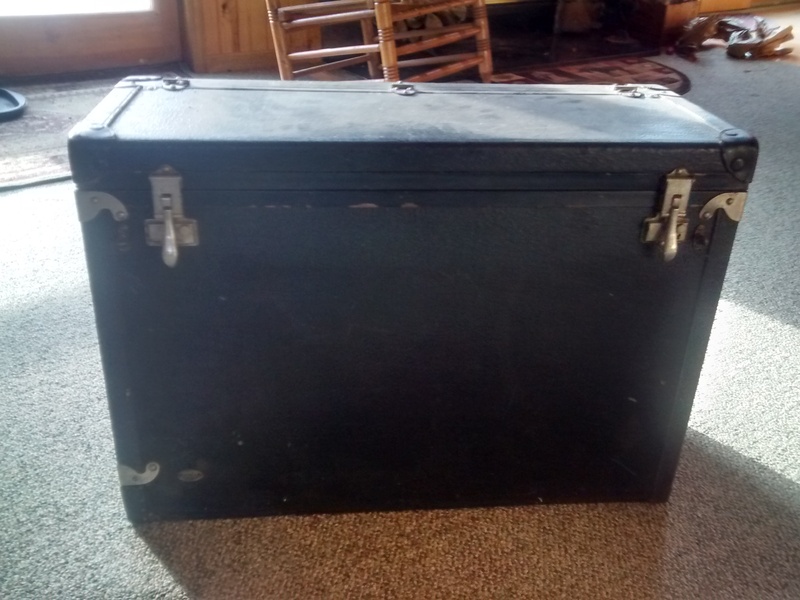 That said, I would be interested in buying the trunk from you because of its local history and being for an antique car. If you are interested, you can email me at cajensen2@aol.com or call me at 262-352-3751.